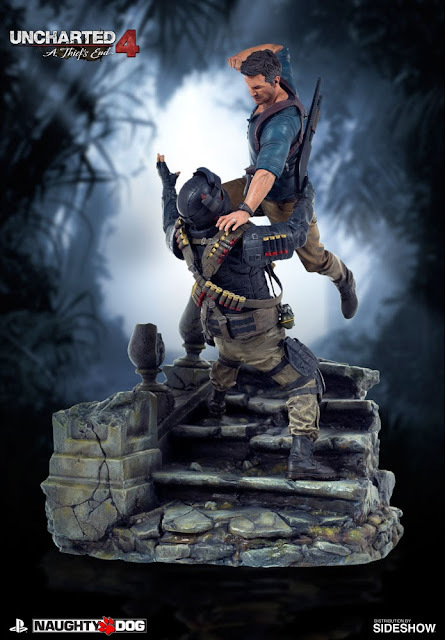 Dr Jengo's World: Uncharted 4 Statue new pics! 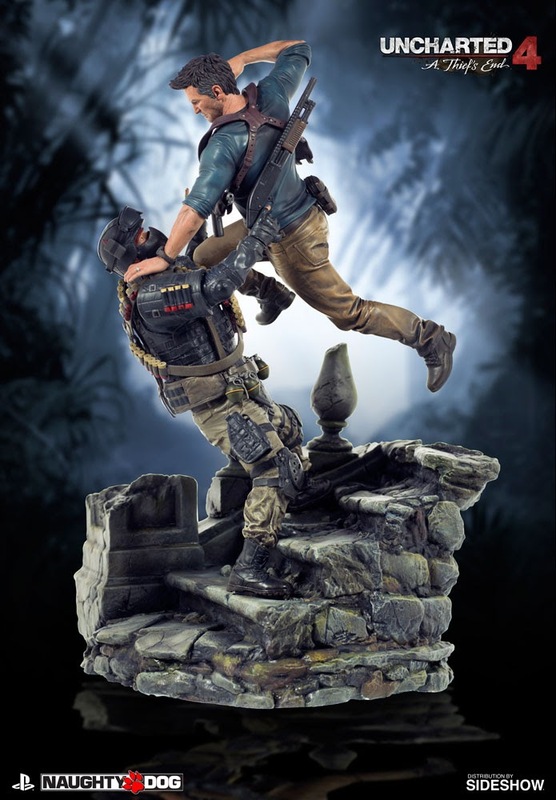 Sony's Fabrication Group announced & revealed the Uncharted 4 Statue a while back, which looked simply amazing but they have made some additions in the recent weeks. Here are the updated pics! I might have missed it if I didn't already know but Nathan Drake now wears a watch. It's a small addition but if you're a fan of the series, you would know Drake always wears a watch in all the games and it's a nice touch to the statue. 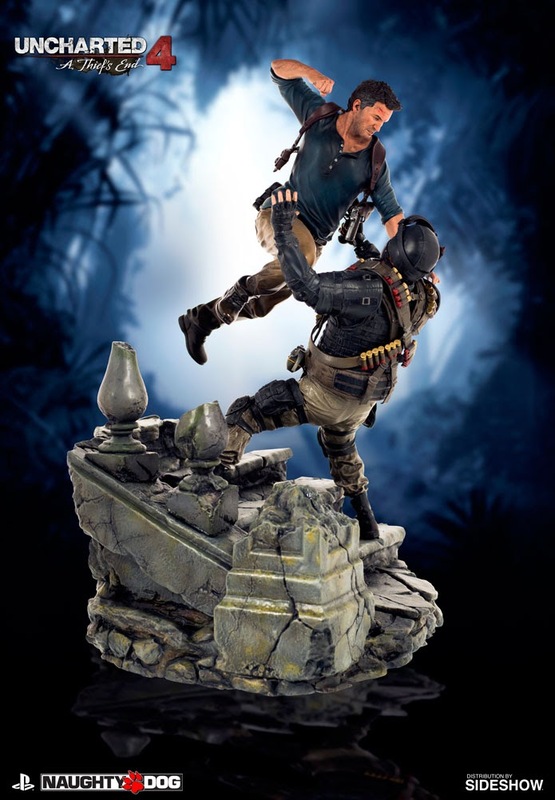 The pose is of Nathan Drake pulling off his signature aerial takedown move and the statue captures all of its glory. This is a must-have for all PlayStation fans and of course, anyone who calls themselves a Uncharted fan! Sony's Fabrication Group has produced some amazing statues in the past and this will be another great addition to their line-up. This will be limited to only 1500 pieces worldwide and is up for preorder at Sideshow Collectibles for only USD$350. That's a very reasonable price for something this huge! Can't wait to own this and pssstt.. we just might have 1 more surprise very soon! was 1500 pcs... now it's just 750 pcs worldwide.